The world needs big ideas. How you communicate (big and small) will make a difference. 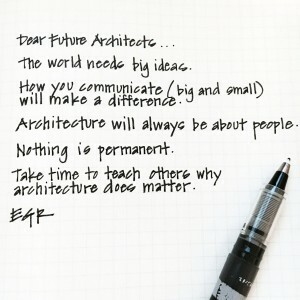 Architecture will always be about people. Take time to teach others why architecture does matter.